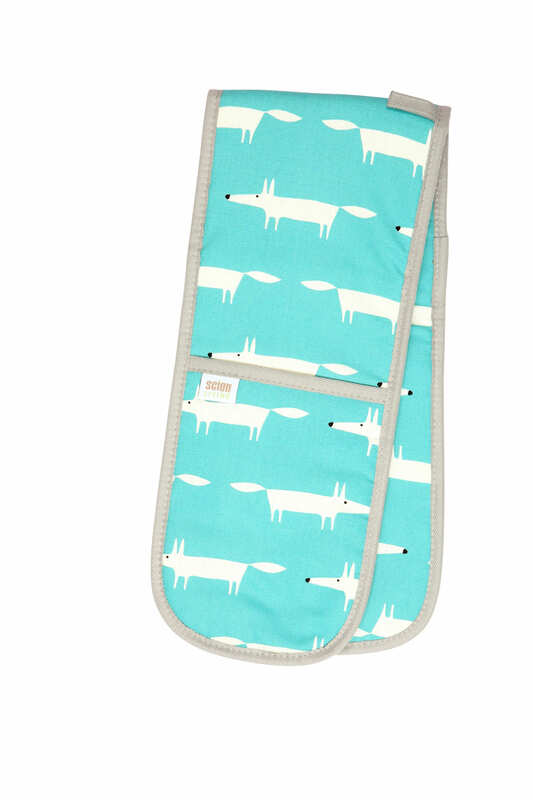 These Double Oven Gloves feature the ever-popular, cheeky and cheery Mr Fox from Scion Living. These well-insulated Oven Gloves are made from premium quality, heavy cotton twill edged in contrasting fabric with hanging loop. You can choose between Blue, Stone, Teal & Yellow coloured backgrounds.